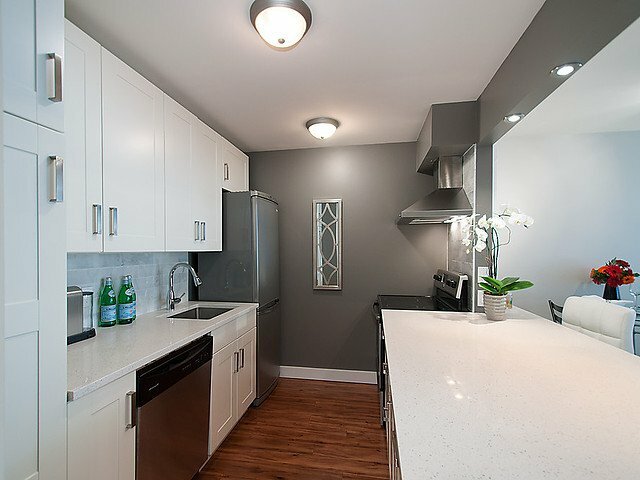 Stunning newly renovated, modern and bright 1 bed 1 bath unit in well maintained concrete Hornby Court. This unit recently had over $30,000 spent in renovations and features hardwood floors, quartz counter tops, stainless steel appliances,marble tiles and custom cabinets. Quiet and central location is close to shops, sea wall and restaurants. Italian Kitchen in the commercial unit on street level and no rental restrictions!. This unit won't last long!